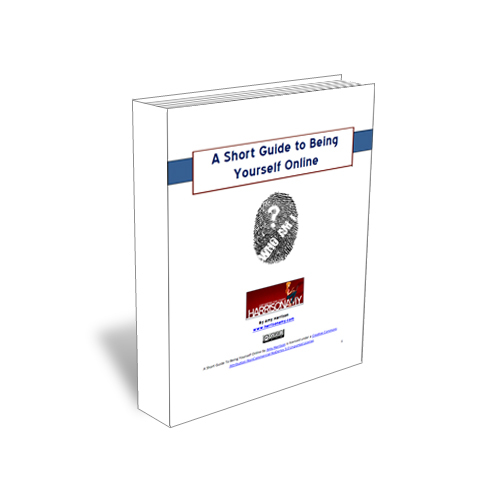 Here’s your link to the free guide: “A Short guide To Being Yourself Online” which is based on a workshop I ran about being aware of the online personality fingerprint you create for your business each time you publish content online. “We were very fortunate that Amy not only presented our students with a vibrant and relevant talk, but backed it up with an interesting and accessible work book, that we have already added to the Colleges E-Learning resources. This worksheet is published under a Creative Commons Attribution-NonCommercial-NoDerivs 3.0 Unported License which means you can share it with anyone as long as you don’t modify it at all and you attribute my name as the author. So if you know a blogger or business owner who might find this introductory guide to being yourself online, please pass it on! A Short Guide To Being Yourself Online by Amy Harrison is licensed under a Creative Commons Attribution-NonCommercial-NoDerivs 3.0 Unported License.